Driver with broken down taxi, Centro Havana. Breakdowns are frequent because of the vehicles age and their maintenance needs fulfilled with only assorted used parts. 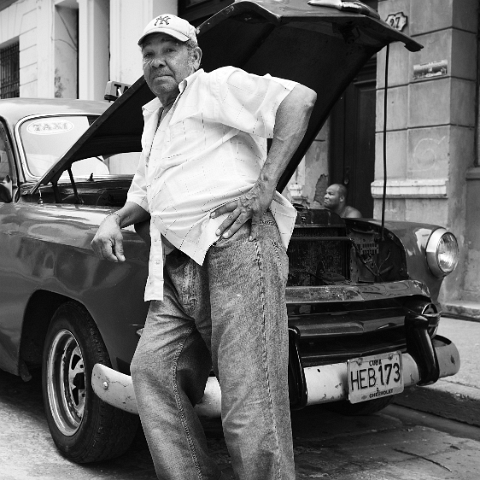 Cuban mechanics are ingenious and can patch together just about anything to make it functional again.